You are here: Home / Guest Blogs / Prince George’s County officially rejects incinerator option! Prince George’s County officially rejects incinerator option! 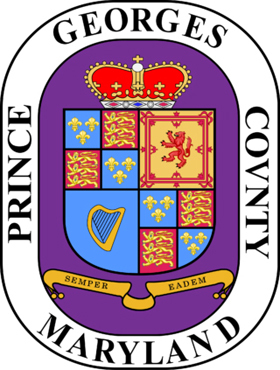 The Prince George’s County Department of Environment (DoE) Request for Qualification (RFQ) for the Waste-to-Energy (incinerator) project has been CANCELLED! Thanks to the hard work of all who stood up for environmental justice. Although we won this battle, we still need you to stay engaged as the DoE will now schedule public input sessions on the County’s Zero Waste Plan. A comprehensive Zero Waste Plan with trash disposal solutions that do not include burning will divert waste from landfills by reducing, reusing, recycling and composting materials. This would create more jobs and reduce the waste stream by over 90% if done properly. Please stay tune for the dates of the County’s Zero Waste Plan public input sessions. Thanks again to those who helped make this outcome happen!! The zero waste network in the County includes Energy Justice Network, Community Resources, Zero Waste Prince George’s County and the Institute for Local Self-Reliance. In the last few years proposed incinerators in south Baltimore, Frederick and Carroll Counties, MD and Fredericksburg, VA have been defeated. Now activists have set their sites at phasing out the existing incinerators in downtown Baltimore and Montgomery County, MD. ILSR continues to work in these jurisdictions to design and implement the needed infrastructure for zero waste and economic development through implementation of unit based pricing, or Pay As You Throw, procurement of compost and development of a regional Resource Recovery Park for the reuse, recycling and composting industries. Neil Seldman, Ph.D., co-founded the Institute for Local Self-Reliance and serves as its President. He specializes in approaches to municipal and commercial solid waste management based on environmental quality entrepreneurial opportunities for small businesses, community organizations, and cities. Since 2005, Neil has also been a valuable resource for Frederick County citizens and organizations working toward an environmentally and economically-responsible solution to our resource and waste management challenges.